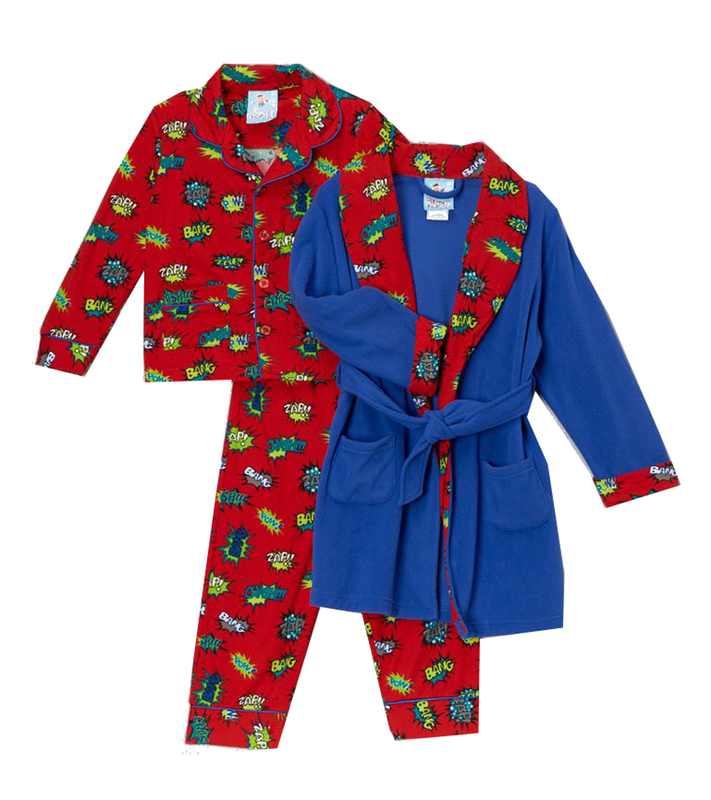 Baby Boys Pajamas in polyester knit with fleece robe to match. Machine wash. Imported.